The sale to Dublin that we published late last night from New York is also available from Boston and Chicago for a little more. Go grab a pint of Guinness. 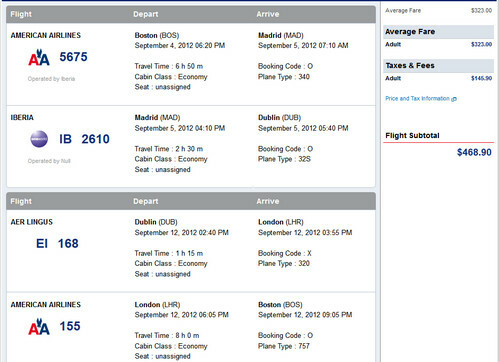 BOS – MAD (Madrid) – DUB (Dublin) – LHR (London) – BOS. The DUB-LHR portion is not mileage eligible.